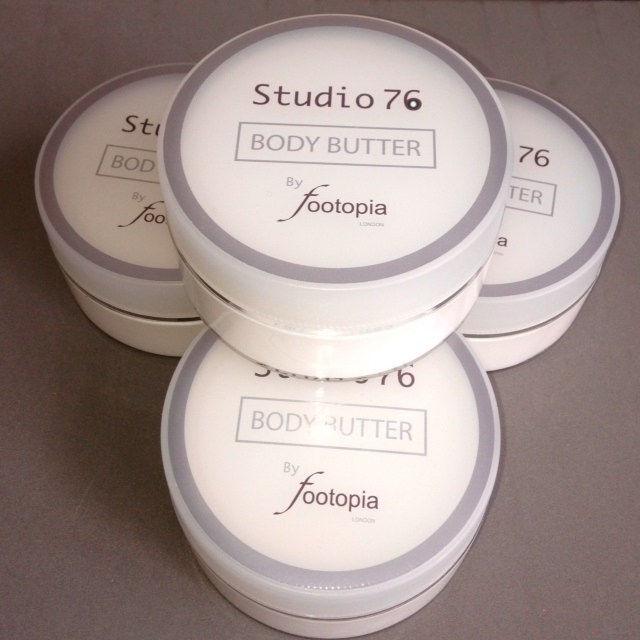 Introducing the first in our new range of Studio 76 products, Footopia’s Body Butter is far different from typical body butters, which are based on mineral oils or silicones – our product doesn’t contain these ingredients at all and is based on pure vegetal: butters, oils and extracts. That’s why our butter effectively improves skin hydration and lubrication for a long time. It’s recommended for all skin types, but the most spectacular effects are observed on dry, mature and atopic skin. parabens free, mineral oils free, silicones free, PEG free. 1 Comment on "Footopia’s Body Butter has arrived"
Just wanted to let you know that we love your body butter, really amazing and I have tried masses of different ones, yours is superb!